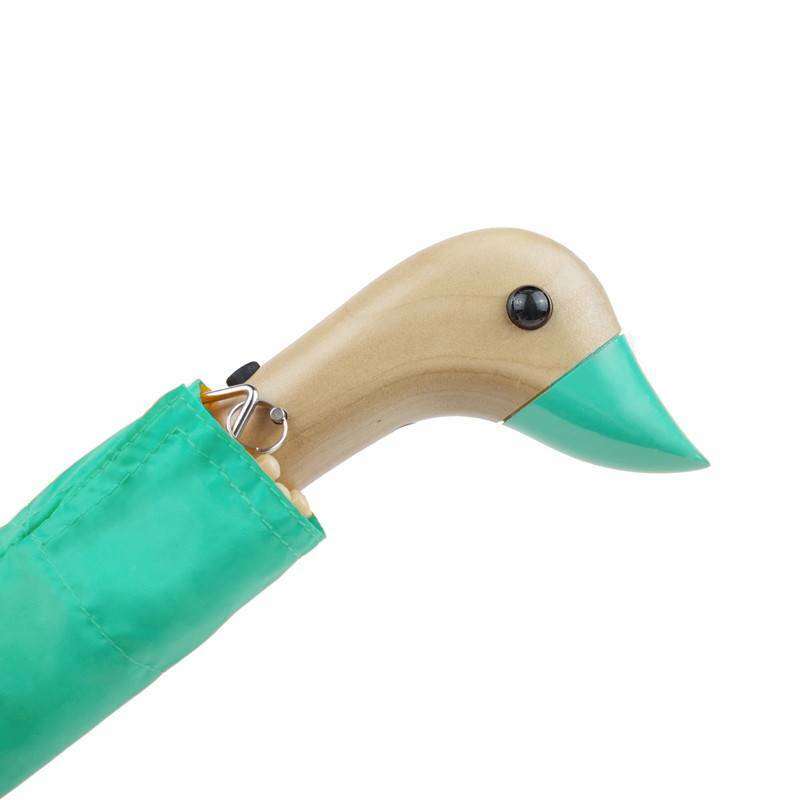 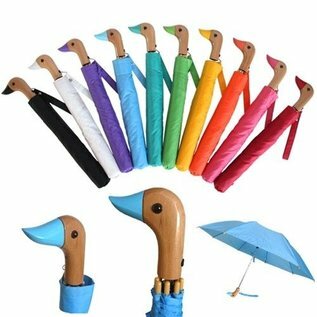 Remember these cute little duck head umbrellas? They are still just as popular as they were in the 70's. They are a great size for travel and have an auto open button for ease of use. Walk in the rain like a duck swims in the water. This iconic umbrella is updated with automatic open, steel windproof frame, wrist strap and nylon sleeve, making it a perfect commuter's umbrella.